Sarah, Gill and Caroline do a wonderful job to keep answering your queries and fill the week between them. 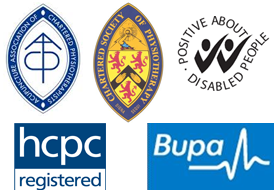 They are at the top of this list for a reason – the clinic simply wouldn’t run without them! You will always find one of them on the desk if you have an appointment, but occasionally there are times when they adjust their hours to accommodate evening clinics, so you’ll be speaking to an answerphone first thing in the morning. Please do leave them a message – they will get back to you as soon as they can. 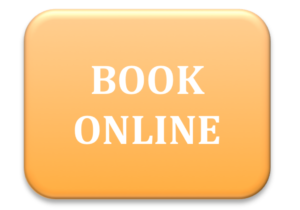 Don’t forget that we also have online booking now, so if you need to book an appointment when we can’t get to the phone, you can use this service. 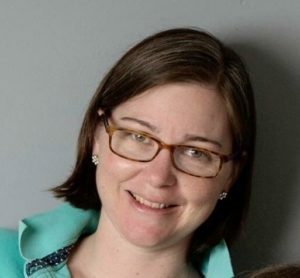 CHARLOTTE DYKE (née Harris) is Black Pear Physio’s director. She graduated from Keele University in 2009 with a BSc(Hons) in physiotherapy. She started her career working in a local hospital and soon progressed to working with Black Pear Physio and its sister company Sun Rehabilitation. 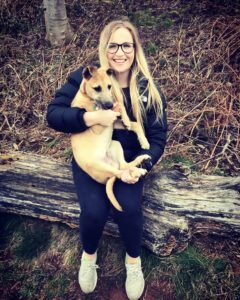 Since graduating from Keele, Charlotte has completed an MSc, an additional masters level module in ‘motor control retraining of movement dysfunction’, completed her acupuncture qualifications and attended many more manual therapy courses. Charlotte is happy to treat a whole range of musculoskeletal conditions and injuries with a variety of manual therapy, acupuncture and exercise techniques. 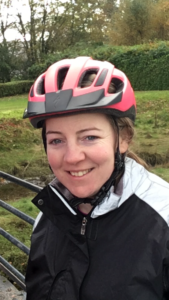 Charlotte has a pragmatic approach to assessment and treatment and aims to achieve the best possible outcome for her patients whether the goal is to walk up the stairs or run an ultra marathon. Please note that although Charlotte is a qualified veterinary physiotherapist, she will no longer be taking on animal patients from January 2019, to allow her to focus her time on her human patients and her new baby. On a personal level, Charlotte’s background is with horses, having evented to international level herself. In more recent years, she has pushed herself to run a half marathon and do a charity cycle ride across Madagascar. She finds that by trying new things, not only is it a personal challenge, but it gives her a better understanding and appreciation when trying to rehabilitate patients back to their chosen sport. Charlotte is available on Saturday mornings . LISA BAKER qualified in 2005 from University West of England and worked in the NHS until making the change to private practice in 2017. She has a wide range of experience and is able to assess and treat any presentation of symptoms to determine the suitability of a range of physiotherapy techniques for each patient. She is a credentialed McKenzie therapist, fully qualified in acupuncture and has vast experience in treating a broad range of musculoskeletal problems, including post operative anterior cruciate ligament rehabilitation as well as all other joints. Lisa was Gloucestershire’s clinical specialist in facial paralysis and temporomandibular joint disorder for 4 years and still maintains significant interest in this area. She is ideally placed for assessing and treating a range of facial states and jaw symptoms from trauma, osteoarthritis and habitual jaw postures. She can help people manage both headaches and facial pain. On a personal note, Lisa is another horsey lady, a former international show-jumper, winning team and individual international medals. She is therefore able to fully understand and appreciate the demands of competitive riding and is happy to see riders of all abilities. Lisa currently has clinics on a Monday and Tuesday. AMJAD MAHMOOD qualified in 2007 from the University of East Anglia with an MSc in Physiotherapy. Since qualifying he has worked within the NHS. He has developed his role within the NHS to an advanced practitioner developing highly advanced diagnostic and management skills of various musculoskeletal problems including sports injuries, spinal pain and chronic pain. Amjad has a particular interest in managing sports injuries through having done a BSc degree in Sports Science and aims to provide individualised functional sport specific rehabilitation programmes. Amjad is able to effectively diagnose problems and uses various methods of treatment including manual therapy, soft tissue techniques, functional rehabilitation and taping. He is able help clients who have failed previous rehabilitation through reassessment, providing diagnosis, treatment and organise necessary further investigations. 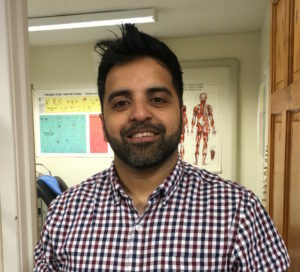 Amjad has completed various courses including orthopaedic medicine, assessment and management of complex musculoskeletal problems and is fully qualified in acupuncture and injection therapy. Amjad is also fully qualified to use acupuncture as part of his treatment. Outside of work, Amjad loves to cycle and has done various cycling sportive rides, the longest being 160 miles. He is a member of various cycling clubs and enjoys providing advice, exercise techniques and strength regimes to members to improve their cycling. He is therefore able to understand the demands of cycling and is able to see clients to develop and improve their cycling. Amjad has clinics on a Friday. ARIS PABILLO achieved his qualification from the University of the West of England in 2013. 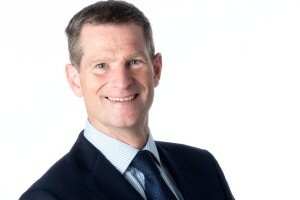 Since then, he has gained experience within the NHS and in the private sector. He has progressed to a senior capacity in an NHS Trust. He is also fulfilling his MSc level in musculoskeletal physiotherapy. Aris has a broad range of experience in providing assessment of a wide range of musculoskeletal conditions including sports-related injuries. He is also skilled in treating those who have dizziness due to vestibular problems, including using the Epley manouvre. His physiotherapy treatment is focused to your needs and goals. 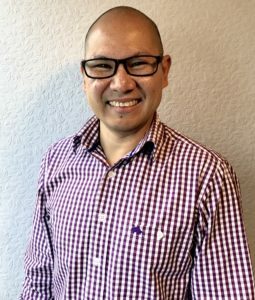 Aris is capable and experienced in using manual therapy, exercises, taping and soft tissue technique to optimise your recovery. Aris is another keen cyclist. Thus, he understands cycling injuries and how to tailor a cyclists rehabilitation. Aris has clinics on a Wednesday and Thursday afternoon/evening and a Saturday morning. SEB TIMMERMANS qualified in Bristol and has since been working full time at Cheltenham and Gloucester hospitals. 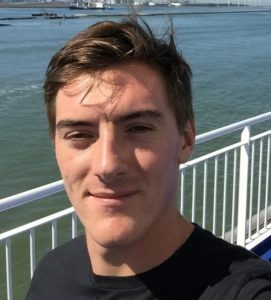 Musculoskeletal physiotherapy is Seb’s chosen area and he likes to help people manage and solve their problems using manual techniques as well as step by step rehabilitation plans and self management. Seb is due to complete his acupuncture training early in 2019. Seb is a keen sportsman and is especially talented and passionate about tennis. Seb has evening clinics on a Monday and Tuesday. More information coming soon. Sam is currently doing sports massage on a Friday evening and Saturday morning. Caitlin currently has a clinic on a Thursday evening. Zoe currently has a clinic on a Wednesday daytime. STUART NOTTINGHAM no longer does private clinic work. Charlotte has worked extensively with Stuart but any of our physio’s are happy to see Stuart’s previous patients.